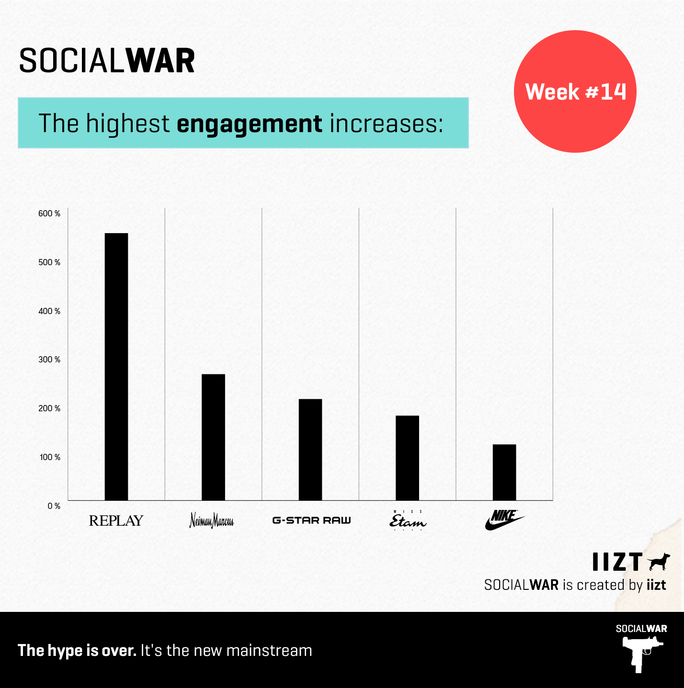 In our Social War research we weekly measure and analyze the online presence of more than 70 fashion brands. 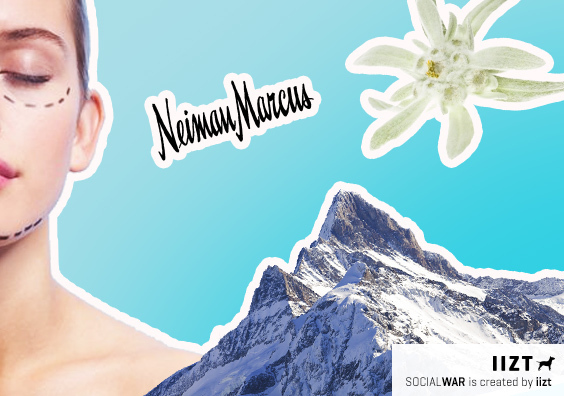 Neiman Marcus approaches the luxury segment. Miss Etam, the Dutch fashion brand, which was already at the top of our engagement standings, shows again that they know what works well with their followers. This week Miss Etam grabs one of the top positions with an engagement increase of over 170%. 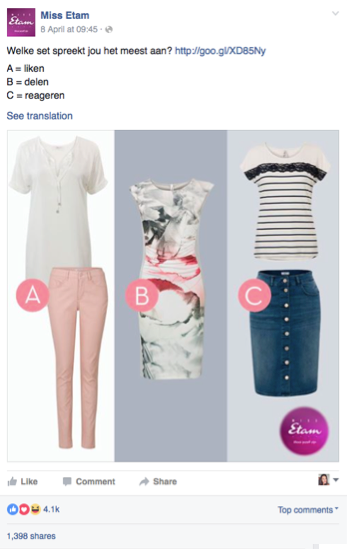 In their Facebook post Miss Etam asks its audience to specify which outfit is the most appealing for them. To share their opinion people should like, share or comment on the Facebook post. 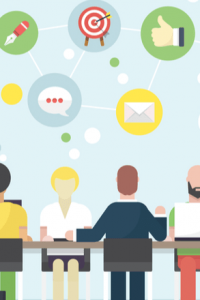 Miss Etam uses this social media trick and activates an engagement with an incredible force. Their post gets more than 4,000 likes, nearly 2,000 shares and up to 2600 comments. Miss Etam again returns with a successful posting. If you compare that to the number of fans they have, it’s astonishing. 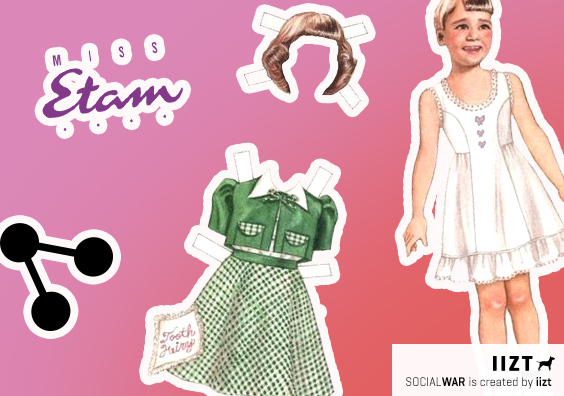 Apart from the fact that Miss Etam increases activity of an existing audience, with each new share under the post Miss Etam attracts the attention of potential new fans. “Share” option is indeed the most effective in comparison with the others. Miss Etam succeeds again with the existing concept of the choosing mechanism and becomes one of the best performers of last week. 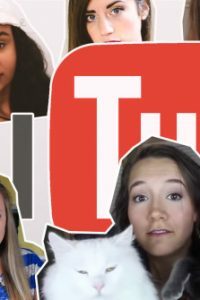 This week big brands again show that they can score well with ‘big names’. Each brand is doing this in its own way. 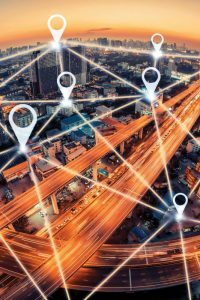 But which way is the most successful and why? 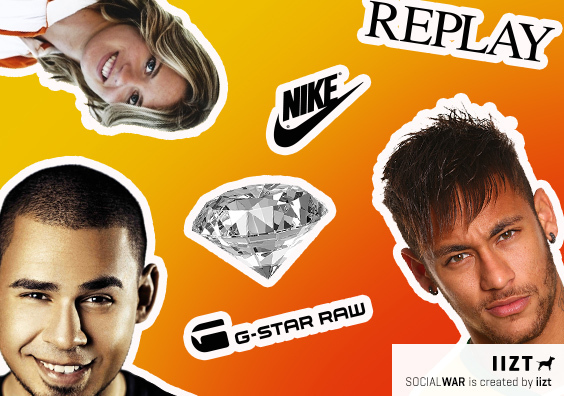 We look at Nike, G-Star and Replay and explore their approaches and difference in engagement increasings. Nike “does” it with a collective of top athletes. #NikeFree campaign doesn’t put any individual athletes in the spotlight. In the commercial, one athlete appears after another. But there is no one who stands out of the crowd. While the other brands prefer to focus their spotlight on an individual celebrity, this time it is not a Nike case. Though, Nike can also afford to place the world famous celebrities in their commercials. 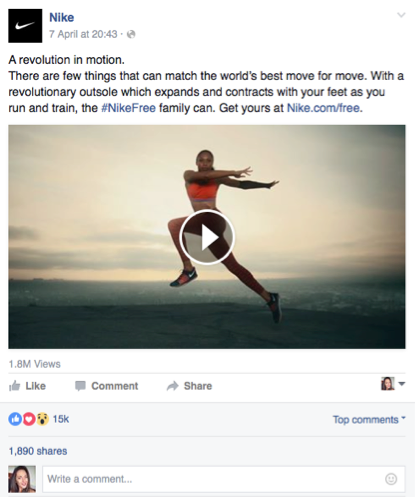 This commercial brings Nike 1.8 million views, 15K likes and 1,890 shares. Still, we wonder, can Nike score better by putting the spotlight on just one or a few top athletes? Will a Facebook posting with only Dafne Schippers work better in the Netherlands? Most people have an idol, and that’s often not a whole group of random idols. 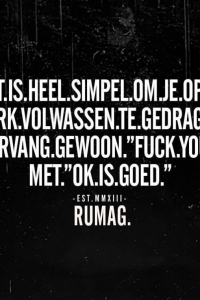 The Dutch jeans brand uses celebrity marketing in a totally different way. While Nike uses a collective effort of athletes, G-Star Raw is working with the individual. G-Star Raw used to work together with DJ Afrojack and it is always successful. 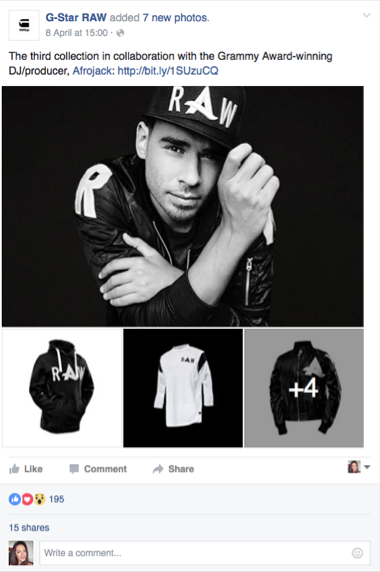 Afrojack has nearly 9 millions followers on Facebook, where G-Star Raw has “only” 1.9 million followers. This collaboration expands G-Star Raw’s reach from 1.9 million to 10.9 million followers. Also, during this campaign the engagement is going up to 200%. Partnership G-Star Raw and Afrojack not only improves the appearance and image of a brand, but additionally increases the popularity of their posts. Where Nike focuses on a collective and G-Star Raw on the individual celebrity, Replay focuses on a team full of celebrities. By getting the partnership with FC Barcelona, Replay paves the way for their future success. The Italian fashion brand has not only a full team of ambassadors, these ambassadors together are also the most successful football team ever. Neymar Jr., Messi and Suarez are more than just the best athletes. These names speak for themselves. The success of Barcelona will also reflect on the brand that they wear. 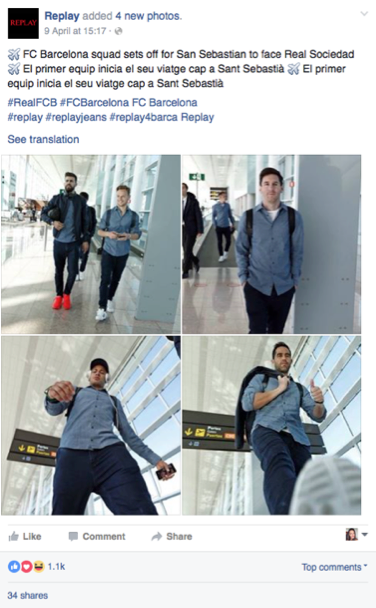 The latest post with FC Barcelona gets 1.1K likes, 34 shares and 8 comments and thereby the Facebook engagement increases by 548%. The US high-end department store Neiman Marcus is this week one of our engagement leaders with an increase of over 250%. Neiman Marcus is the more exclusive department store version of the Bijenkorf. And when you’re high-end and classy, you should carry out this status online with pride. 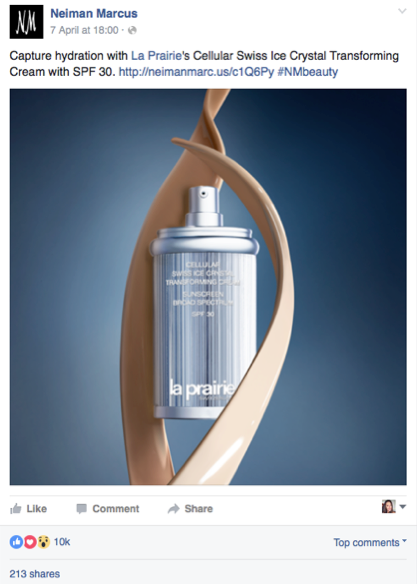 This allows Neiman Marcus to boost the campaign of high-end brand La Prairie on its Facebook timeline. The classy cosmetic brand focuses on the (female) upper segment with an emo-campaign. Their audience reacts very enthusiastic. With a Facebook posting about a more than exclusive face cream (30 ml a € 175,-) they have generated over 10k likes and 213 shares. And what do you think about the 77 comments under this product? This screaming minority of ladies are asking for a sample of this product, like there is no tomorrow. 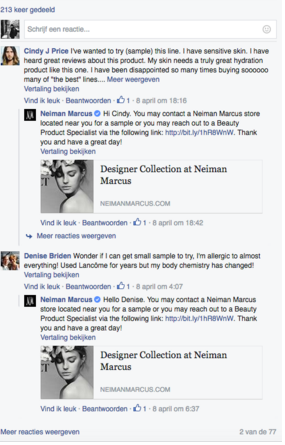 Neiman Marcus shows that every brand and their audience are in need of a specific approach and tone of voice. The Americans are using this successfully by appealing to their audience about their refined taste.